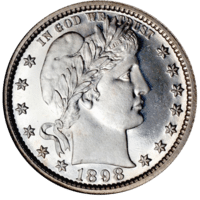 The category of “silver quarters” is quite broad and, thus, includes a number of different designs, dates of production, and values. 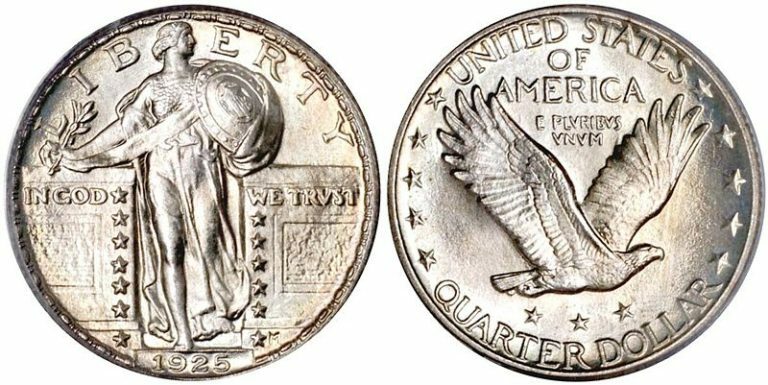 In fact, until 1965, all quarters produced in the United States contained silver. In 1965, the U.S. Mint was forced to switch quarter compositions over to copper-nickel clad as silver prices were rising very quickly. The value of the silver in the quarter was actually worth more than the face value of the coin. Furthermore, people all across the country were pulling silver coins out of circulation, creating a national coin shortage. While the U.S. Mint stopped producing silver quarters for circulation in 1965, the Mint does still strike silver quarters for collectors. In fact, the 50 State Quarters were offered in a 90% silver format, as have all issues of the 50 state quarters program. Furthermore, the U.S. Mint has been offering silver Washington quarters for collectors since 1992. Silver Washington quarters of the recent era (minted since 1992) are proofs, and are found in special collector’s sets that the U.S. Mint assembles and sells annually. In 1975 and 1976, the U.S. Mint struck collector’s Bicentennial quarters with a 40% silver composition. How Much Are Silver Quarters Worth? Well, that depends on which silver quarter we are talking about. For example, even the very first U.S. quarter the U.S. Mint struck in 1796 contained 90% silver. But when most people talk about silver quarters, they’re referring to the Washington quarters Silver Series which were produced from 1932 to 1964 — these are typically the easiest silver quarters to find. Generally speaking, common silver quarters of the 20th century in well-worn grades are worth between $5 and $10. Certain scarce dates are valued much higher than that. With the exception of 1999-S silver proof 50 state quarters (which are worth around $40 to $50 each), all proof silver quarters minted since 1992 are worth, on average, between $5 and $8 apiece. *Values are based on current pricing information from the Professional Coin Grading Service (PCGS). I would also encourage you to browse through a current copy of A Guide Book of United States Coins by R.S. Yeoman and Kenneth Bressett (Whitman Publications) to learn more about silver quarters, grading silver quarters, and to find out more about their values.